Staff Sgt Ken Carroll - Chief CFC Maintenance Section Ken Carroll enlisted in the Air Force Reserve in the fall of 1942. 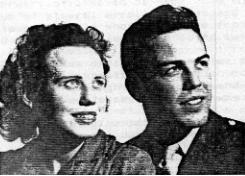 He and Fae were married November 15, 1942 just prior to his induction in January 1943. 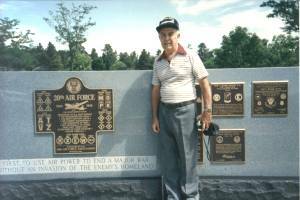 On Guam, Ken served in the 60th Squadron 39th Bomb Group. His assigned duty was chief of a 20 man CFC maintenance crew. When the 39th was disbanded he was assigned to the 29th Group. After his discharge in February 1946, he returned to the civil service position he held with the War Department prior to his military service. About a year later, Ken left that position and to prepare for the Gospel ministry. (Ken mentions that a highlight of his Guam experience was when another Sergeant led him to Christ - an event that dramatically changed the course of his life.) 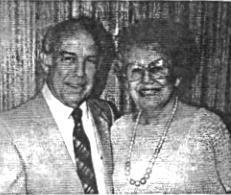 He began preaching in the fall of 1947 and continued as a pastor and Christian school administrator until his semi-retirement. Ken and Fae have four children and seventeen grandchildren.